Improve Your Sales Team Performance | The Vantage Group, Inc.
ARE YOU FINDING IT CHALLENGING TO MEET SALES QUOTAS AT YOUR ORGANIZATION? 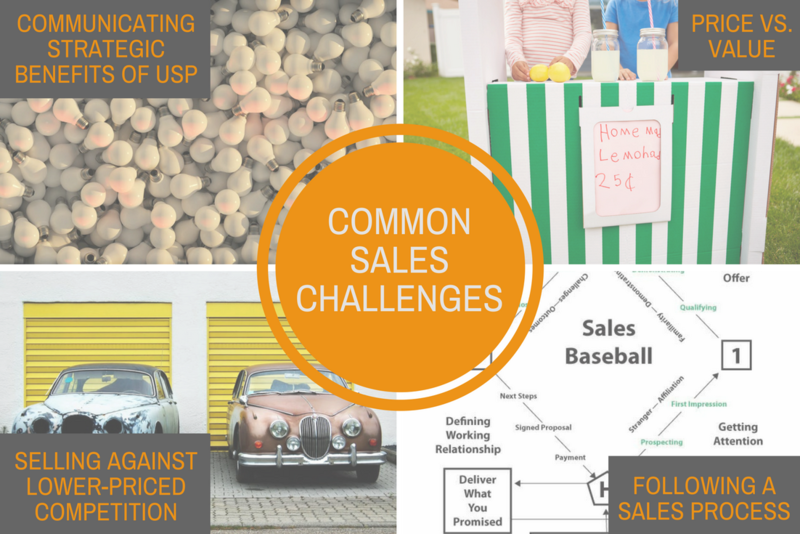 You may believe your sales difficulties are unique to your organization or industry, but the core sales challenges that are keeping you from reaching your goals are common to many organizations. Some of the recurring challenges we see include Sales Reps who are more comfortable selling on price instead of value, a failure to communicate strategic benefits with a unique selling proposition, Sales Professionals who don’t know how to sell against lower-priced competitors, and Sales Reps that fail to define next steps in the sales process. Are You a Sales Professional or Sales Manager Who Wants to Take Your Team and Sales Skills to the Next Level? The sales assessments provided by Vantage helped us identify some of our key sales issues which led to a better process for training and hiring. As a result, we were able to increase our sales more than 150%. Many of the issues listed above have been true for most of our clients. Even the most seasoned Sales Professionals hit a plateau in performance and struggle with getting to the next level. And managing a sales team can be challenging, frustrating and intimidating. There’s so much information and a myriad of sales training and coaching options that it’s hard to know what to do or where to start. What actually works, what doesn’t work and how do you learn the strategies that will work for your organization? Are you serious about growing your sales, exceeding your goals and having a sales plan that taps into the motivators of top performers? If you’re ready to get some hands-on assistance in getting past these sales challenges, our training and coaching services are the answer. At the Vantage Group, we’ve been working with organizations for more than 25 years to develop their teams and become more successful at meeting their sales goals. Work with you to create a sales process and training approach that shows your sales team how to have strategic business conversations with prospects that provide reasons to buy. Coach and train your sales team in building skills and confidence so that they can take action consistently and boldly toward their goals. Identify strengths and weaknesses within your sales team to help develop customized and targeted training for instant application in the field. Help you get an objective measurement of potential candidates for a role you’re looking to fill, and have an accurate prediction of their long-term success selling for your organization. If you don’t know how to get started, we’re here to help you take the uncertainty out of hiring sales professionals by answering whether the candidate has the specific attributes your sales position and can the candidate actually sell in each stage of the sales process. Our assessments will help you know which candidate has the skills, values, motivators and sales acumen to succeed. For your current sales team, our assessments will also help you have a clear picture of which areas you need to focus your development efforts.